Did I ever tell you about the time I woke up naked between to blonde Danish girls in a tent on Phillip Island Australia? It’s a good story really. I had no idea where I was and the only thing in the tent apart from the two ladies in question and little old me, was the sleeping bag that we shared and a pair of sandals. The last thing I remembered was drinking with two Irish lads from Cavan and a couple of Russian guys nearly 300 miles away, in a small town called Bright. I found my clothes in an adjoining tent, in a field that showed signs of some kind of music festival or event that was clearly long since over. Neither girl wanted to make a move and seemed not to have a word of English between them. I eventually got dressed and managed to hitch a ride back to Melbourne, with a small gang of bikers called the Z-Lords. Nice guys as it turned out, despite their appearance. Now of course not a word of this is true. Don’t be disappointed, but the origin of the tale is the thing I want to discuss. You see, I was having drinks with colleagues from work and there was the usual tall tale stuff doing the rounds, getting taller by the drink so I decided to put a stop to it. “What’s the drunkest you’ve ever been?” I enquired. I watched their faces as they all began to come up with their best story and then I simply said the opening line of this blog. They all fell silent, eager to hear a tale of drinking, that ended up with me naked between to lovely ladies in a tent in the middle of nowhere. It was a master stroke. I told the story in great detail, from the moment I took a trip up to the mountains with a couple of guys from Ireland, right through meeting a pair of Russian lads, who I explained where great Craic (fun) and how after one of them disappeared for two hours, he returned with a mini bus and told us we were going to a party. I have never held an audience like it and the best part was what I left out. I told them I had no recollection of any shenanigans that may or may not have occurred between the two by now models from Copenhagen, due to what was clearly a vast amount of alcohol consumed. Even more mysterious was the fact that we started drinking on a Friday and when I woke up in the tent, it was Sunday afternoon. A whole day was missing. Now you may just surmise from this that I’m a terrible liar, not so. I do like to make up a story however so that explains why I write. Tall tales are a tradition in Ireland of course and I remember a local folk singer explaining that when on tour, the lads would engage in tall tale competitions. They were in Germany with some guys from England, Belgium and Germany and the German guy had just told a most magnificent tall tale to beat the other two, leaving just the Irish guy to beat him. “Beat that Paddy!” he proudly finished, knowing that his story had been so elaborate, involving his heroic efforts to climb a waterfall to save a damsel in distress, that it was virtually unbeatable. The Irish bard rubbed his chin and then won the competition with five simple words. Writing is very much like telling tales for me. It is as such about what you leave out as what you put in. From my perspective, I credit my readers with intelligence and allow them time and space to read between the lines. It is an important bonding process I feel and it gives us both, reader and writer, a connection that is created in the space that needs to be filled. There is no better example perhaps than in Little Big Boy, where my lead character is telling the story from his childish perspective. What he doesn’t understand he doesn’t explain, simply because he is incapable of doing so. Where he to explain everything, his character would not be authentic, so I had to create certain voids for readers to complete with how they would interpret what he was witness to, or what he felt and experienced. At one point, he is present when someone dies in circumstances that the reader should be able to easily understand, but it makes little sense to him or indeed to the other boys present. They speculate and come up with their own version of events and my Little Big Boy is so concerned with a more pressing personal worry, that it barely registers. Throughout, he never explains what has actually happened and he can only tell of that which he directly sees. There are missing pieces that as adults were we to be present, we would immediately make sense of and that is where the reader is allowed to witness events not just through the boy’s eyes,but through their own deductive reasoning as they would in real life. In moments like this, I tell the tale and leave the gaps, much like my story with the Danish girls. The bond between writer and reader is formed I hope, as they join me on the page with their own voice as it rumbles through their minds to fill the gaps. It is always there for me as I write. I am constantly aware of a need to create a dramatic tension, to draw the reader in, to encourage them to not just be a witness to my tale but to feel that they are in there, between the pages with my characters. I never told my friends that my story was made up on the spot, how could I? Once they had invested their faith in the legend I had created, I knew they would be crushed where I to ruin it for them. Besides I was so convincing the story now does the rounds and I’ve been asked many times to tell it again. Do I tell it? What do you think? For Darkly Wood fans perhaps you can see my predicament and maybe even a clue to the story begind Ignatius Pipe – The man who never smoked. So when you write or tell a story, leave out sometimes as much as you put in, but be careful what you sow! 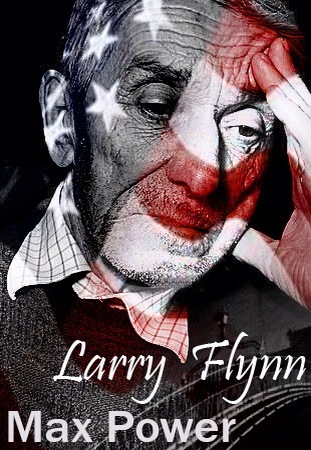 Larry Flynn – Book Review. Licking the Belly of a pig to see if it tastes like bacon. I once knew a respected priest, who kicked the living crap out of a fourteen year old boy in front of me. There was nothing I could do as I was the same age and his parents stood by and watched, not agreeing with the punishment but complicit by their acceptance that he was entitled to pulverise their son. His crime was to be disrespectful to the priest’s girlfriend. Did I say girlfriend? Sorry it was the 1970’s I should have said housekeeper. His name was Muh-Muh (the boy not the priest) or at least that was the only name I ever heard him being called. He had a name but even he introduced himself to me by this strange nick-name. He had a stutter and his debilitating speech impediment meant he struggled with the letter M in particular and hence the name. Today it seems impossible that this was acceptable, even the teachers called him Muh-Muh. It is inexcusable regardless, but it was a different era and definitely a different world. Names were important for us growing up. I had another school mate who I called Peubo for ten years without ever knowing his real name or why he was called Peubo. It was in the moment when I decided to ask him, mid-sentence in fact that I glanced at the shock of curly black hair on his head that it struck me. We had lots of Mackers, a Ginko, a couple of Dimbos three Dermos and a Witchie. The latter was Richard shortened to Ritchie but he couldn’t pronounce his R’s. There was no such thing as political correctness. We were treated with a level of cruelty and had to survive in a place of chaos in my neighbourhood. On top of that, Dublin wit is unique. It is intrinsically a cheeky, capital city cocky wit, that is cruel and insensitive to the outside ear. Words have multiple meanings depending on the relationship between the parties conversing and the context of the conversation. Insults to an outside ear are normal chit-chat between a couple of Dubliners. Speech and written language are inseparable in my mind. I think in the voice of a character. Words are sounds and placing them on a page is not enough. A reader needs to be able to evoke the feeling that accompanies a word or phrase. They have to hear it in their head. I have seen many writers head down the path of writing accented conversations phonetically and it is a dangerous thing to do. It can be done well but some of my least favourite efforts were Roddy Doyle’s car crash attempts in books that were ultimately very successful. I include some phonetics to gain tone and cadence, but then try to stick to simplified English because in my head it works better for the reader. Overly complex, phonetic written English, can be a struggle for the reader and if not done right can be a distraction. As a writer words have an added importance for me. Picking a title, selecting the right words to use on the cover of a book can be even more problematic. 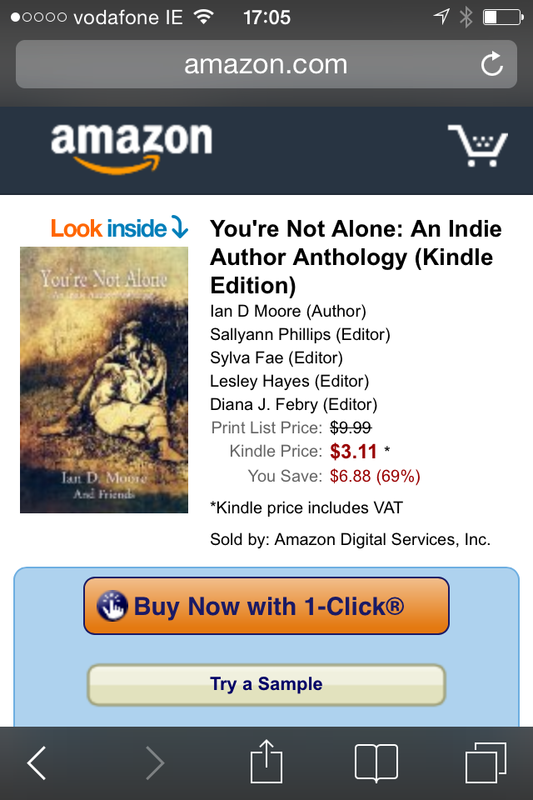 I have four published titles and I have three in progress two of which already have titles. How did I choose them? Well I will try to explain. 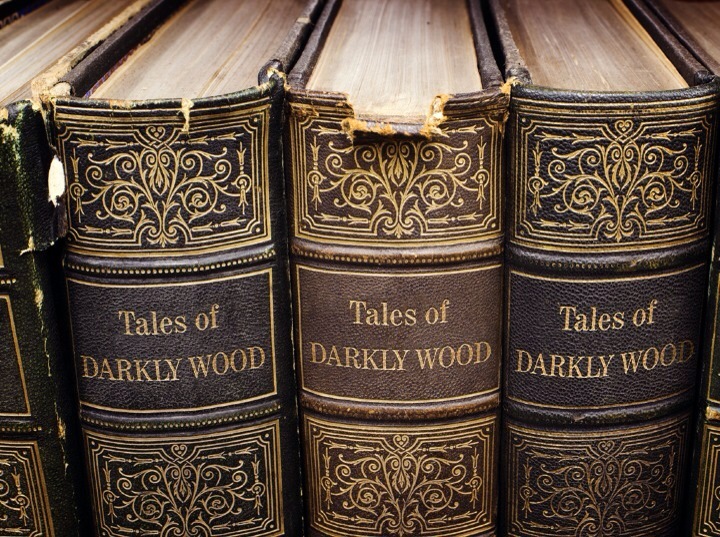 Darkly Wood is a deliberately misleading title. The wood is in many ways, a character in the book. It is a place named not for the reputation it has developed, but rather it has its origin in a family name, landed gentry with the family name Darkly. In the case of this book the place name had to be in the title and I played with it a little but chose simple in the end and as it turns out for me at least, it is the perfect title for the book. Given the nature of this, stories within story, somewhat frightening little love story, I couldn’t have gone in any other direction. I chose the direction the book led me and it is a method that has helped me ever since. Then along came Larry Flynn. Poor old Larry. What a character. In Dublinese, ‘what a Bollix.’ He is simply one of my favourite characters. I know he came from my pen but I loved writing him. Every horrible, confused thought he had, every twisted version of his truth, every vile intentioned sneer and smirk. I loved his voice, his thought process, his failing body and self-delusion. He was one character I rooted for, even though I knew how unpleasant he was and how the book was going to turn out. The title was once again a no-brainer for me. I teetered but when my daughter finished the cover with his face proudly on the front, I knew it had to simply be called Larry Flynn. Bad Blood was the one I toyed most with. This is a dark thriller revolving around a serial killer with more than a hint of blood lust in the tale. I initially thought Bloodlines would be a good title as there are a couple of families involved and a feud that goes back through the generations. 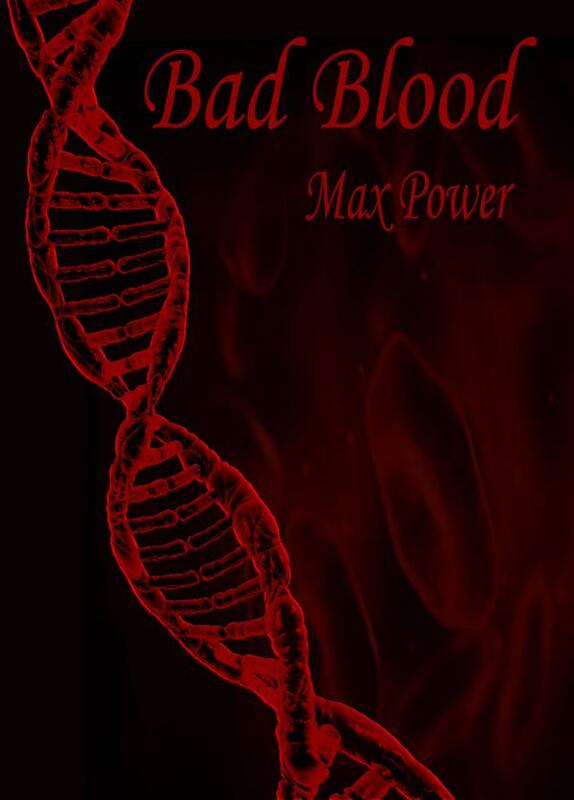 Then as I am a big Bram Stoker’s Dracula fan, I renamed it Bad Blood with a bracketed off, somewhat suspect to suit myself, Irish translation. I called it Bad Blood (Droch fóla). This can and I say ‘can’ be pronounced druck ula… anyone get the Dracula connection yet? I loved the idea but of course the book is not a vampire book, the version of the translation is strictly incorrect and the pronunciation depends on whether you are Donegal Irish, Galway Irish or suitin’ yourself Irish. In the end I went with the simpler Bad Blood which ultimately suits the story line, but I still have a hankerin’ for Droch Fóla. I faltered on this by trying to be too clever. Ultimately by going back to basics, I found the answer. 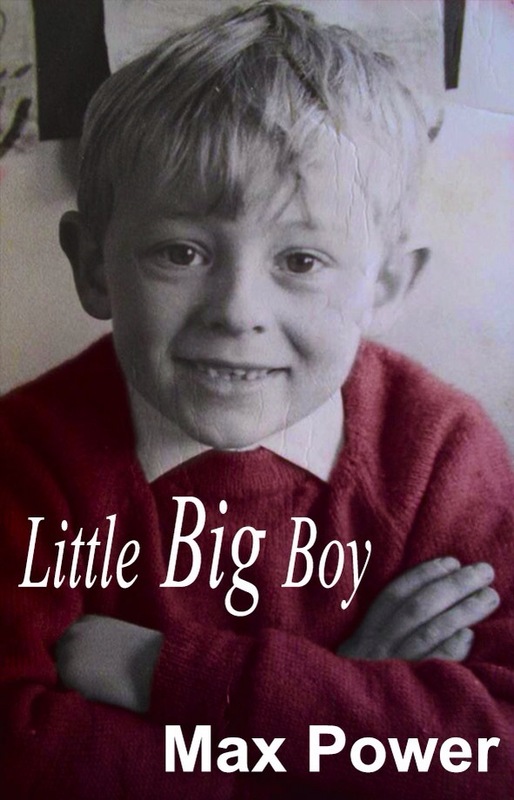 Little Big Boy was always going to be just that. In this case the story pretty much stemmed from the idea of a little boy desperate to be big but longing in his heart to cling to his safer small boy world. He is everything in this book. It is a first person narrative and though I say it myself, this book could not ever have worked with a better title. Ultimately this was an easy choice, perhaps the easiest of all of my books. It is quite a harrowing tale and filled with conflict and contradiction, as the smiling face on the cover belies a troubled soul and the terrible events that engulf him, hence the contradiction in the title. Going forward I have a finished book called Apollo Bay to be released early next year. This is a thriller set in Australia and a lot of the action happens in a very secluded cove near a place called Apollo Bay. I wrote this book a long time ago and it is in re-editing phase at the moment but I know the title suits. Again much like the other titles I have used, I went for direct simple related to the story titles and it sort of named itself. Finally I come to my next book to be released and this one has by far the longest title that I have used to date. 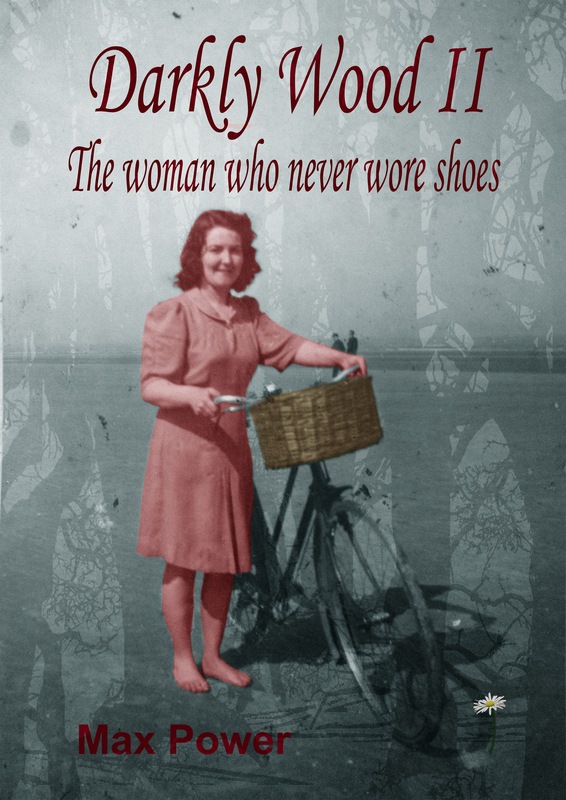 This is The woman who never wore shoes (Darkly Wood II). I didn’t have a title for some time after I start writing this book and couldn’t decide where to go. It was important not to simply call it Darkly Wood II in my mind, but I was lost for once to come up with a title. Then my magical daughter did it again. She designed the cover based on my specifications and a photo of the wonderful Joan taken in 1946 a story I have blogged about before. (We fade to grey –worth a peek if you missed it) It was only when I saw the cover that I noticed Joan was barefoot. I had the sketched out story of the character on the cover who appears later in the book, and at that stage I hadn’t completed it. But in that moment I knew it was to be my title, a Eureka moment as it were. It suited the story and the cover in a moment of mental harmony. “My first child died through ignorance. The death of my second was altogether a more planned affair. “This is the opening of one book I have in progress at the moment but it is as yet, untitled. I know the story line and I know the direction I am going but just not the title. I do have some ideas but I’m not there yet. No doubt I will apply laws of inspiration to bring it to the fore. And there you have it, my haphazard approach to finding my titles. I probably made it sound too easy but honestly if you knew how my very strange brain works you’d realise that I already have another five more books written in my head with titles swishing around waiting for me to harpoon one. In truth it was probably the same for the ones I have written to date and when the time came the decision was already in my subconscious mind. The as yet to be titled book I mentioned above is waiting for that flash moment where I suddenly realise I had it in my head all along. Perhaps it will take me working through the cover stage to force me to make a decision I don’t know. I am always curious how it works for others. For me, even after trying to explain it, I’m still not sure. Perhaps it is a futile exercise, like licking the belly of a pig to see if it tastes like bacon. You know it wont and even though I would never do it, the fact that the thought crossed my mind is enough for me to realise, some things will never make sense. For fans of Darkly Wood, here is a sneak preview from the sequel, Darkly Wood II The woman who never wore shoes. For the uninitiated, there is still plenty of time to discover the wonder of the original before this one arrives. For newcomers a note: Darkly Wood sits atop the village of Cranby,named after the family (Darkly) who have owned the land for generations, the events that occur there lend a more literal meaning to the Wood. Cathecus Flincher was a moral man. He liked to go to church and he prayed every morning and every night before he went to bed. There was nothing he hadn’t put to prayer. Cathecus prayed for success in his business and it came. He was a stone mason and a fine one at that. When he had fallen for the very beautiful Caroline Corker, Cathecus prayed that she might someday reciprocate his very strong feelings for her. The moral and prayerful Cathecus, got his wish and she fell for him above the many more attractive and wittier men in the area. He prayed for sunshine in the rain, enough time to complete his daily tasks and God was good granting it seemed, his every wish and prayer. Life was fine for the Flinchers and soon after they were wed, the delightful Caroline became pregnant and delivered him a beautiful, healthy son whom they named Finius after his grandfather. One year later they had a second child, this time a daughter as beautiful and as fine as he could have dreamt. They called her Petunia. Days became weeks, became months and years and his beautiful, happy family brought nothing but joy and pride to the man, who it seemed had everything. God was indeed good and Cathecus thanked him daily. She came to men as though she was familiar, as if she had once been intimate with them despite the fact that they had never met. Men came to her as though they had no choice. There was only the barest, raised eyelid from across the room required and they knew she wanted them. She could be theirs or at least there was a hint of a promise in the flicker, but it was seldom so. Her style was always hers alone. No other woman would dare risk or be capable of carrying off, even the simple things that she did so right. It was infuriating yet beguiling. Her mouth was perhaps the only lure more powerful than her eyes. Those lips demanded to be kissed and when she smiled, it was almost suggested that you might be invited. Terrapin Luker was a man used to getting his way and he was not to know what really went on behind those striking eyes. Like most men, he saw a chance that wasn’t there and like all men he was drawn to her. By the time he had crossed the room, the shimmer of her dress that clung to her voluptuous hips had him completely captivated. But it was more than that. Terrapin had never felt such a powerful draw in his forty years of existence. She saw him coming and tilted her head slightly so he would know that she stole a glance and a half-smile, briefly curled on her lips to trap him. He wanted her like he had never wanted anything and in a shimmy of her hips she turned from the man she already had in her trawl, a skinny creature by the name of Scratchly with bad manners and even worse breath. In that same movement she dismissed his weasel-like desire, drawing in a bigger catch as she sashayed towards the door with her back to Terrapin. As if her mouth, her face were not enough, Terrapin stopped mid-step drawn in further by her backless dress that revealed a promise of heaven. It dipped low with the spectacular curve of her back and stopped lower, insisting, no demanding that he should know more. Normally confident, in charge, demanding and powerful, as befit a man of his position, Terrapin finally came face to face with the woman he knew he would love forever on the terrace as she turned, knowing he would be there, waiting, suddenly bereft of his words, helpless in the confrontation. His eyes studied her beautiful face and stole a glance lower at the curve of her soft breasts that revealed only enough to make him want to see more. She spoke and her voice was like a lullaby. The woman who never wore shoes should arrive in the autumn. 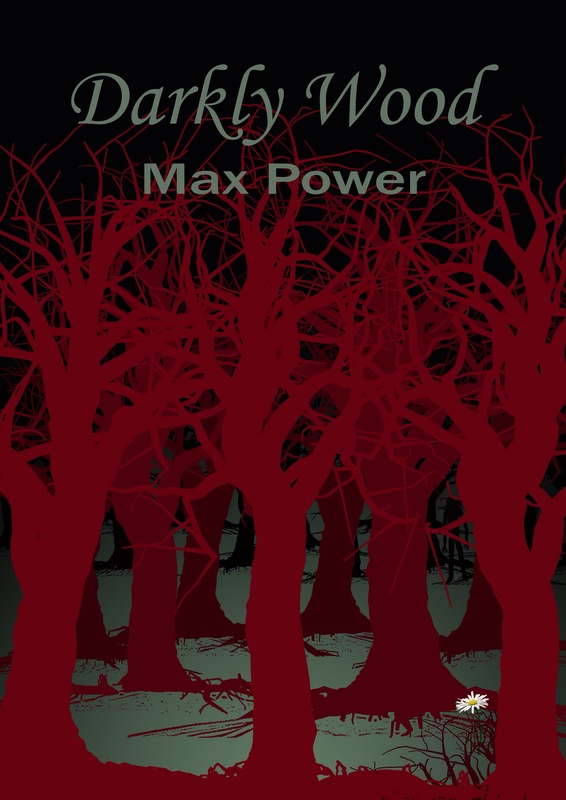 In the meantime if you have yet to discover the wonders of Darkly Wood, you can read the reviews here and download from your local amazon store. It’s comes as no surprise to me that I may skirt this path, but for the most part it stays with me and I don’t talk about it, like a close friend that I’m not sure I really like but I have to be there for, because I’ve known him all my life. When I write, I let him take over a little and for that I am truly grateful. Not for his freedom but for the gift of writing which allows me to like him sometimes. Writing is radio for me, it always has been. I learned as a boy that there were pictures inside books that I could see, the way only I wanted. When I write now, I make pictures, hopefully vivid but also with obfuscation enough to allow my readers to draw their own pictures in their mind’s eye. I like television but I love radio when it is done right. In there I listen and I am forced to picture what the voice tells me about and that experience of stretching the imagination is something I like to do in my writing. Some of my characters get no description other than the way they speak or the way they walk. In there lies the secret of true description for the imagination. The heart of a character is in his stutter, his crooked stick or his wandering eye. The woman who never wore shoes is freaking me out – just a little. It’s not that I don’t know what to write, it is never that for me, more that I can’t fit it all in. 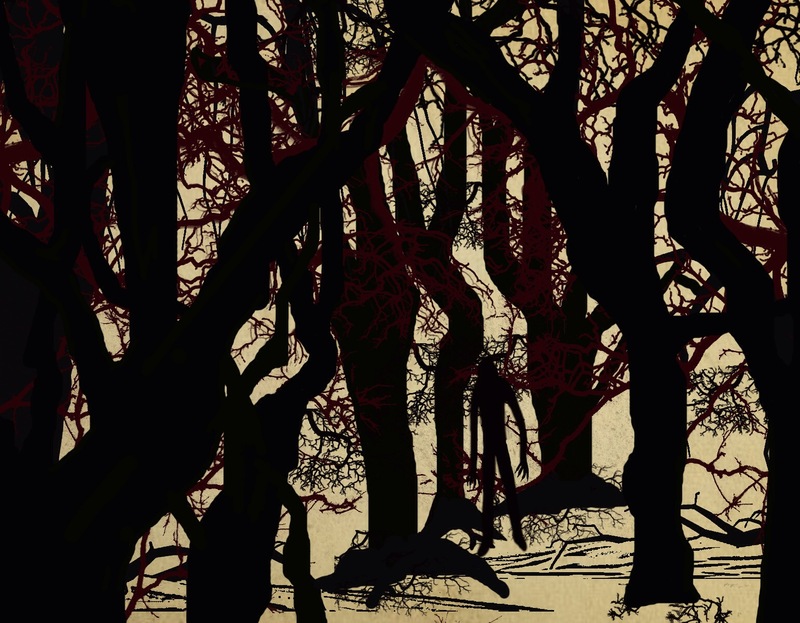 In Darkly Wood I trod a dangerous path in that I made the reader wait just a little before they hit the action so to speak. Some people expect instant wham bam, publishers dream type opening and no one wants to wait. But Darkly Wood meant a lot more than that to me. In there I paid homage to many of the classics I have read. 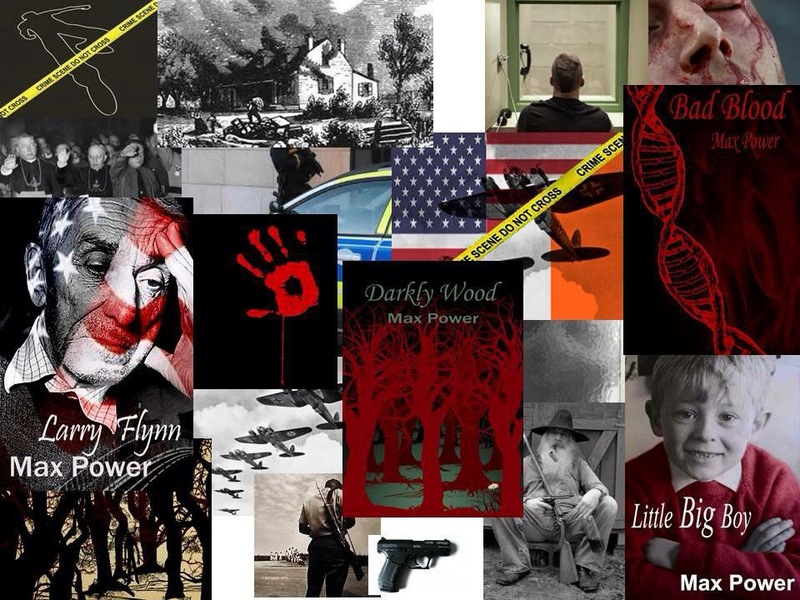 Perhaps it was foolish of me to write in a way that many readers have forgotten but I wrote Darkly Wood with a story teller’s eye. It had to grow to grab you at the right moment and then never let you go. The woman who never wore shoes is an altogether different kettle of fish. It has the advantage of the scene been set so to speak. There is a lot to cram in and it freaks me out because I‘ve really let ‘him’ take over. The squiggle that runs through the madness of my mind has leapt onto the page and I am having enormous fun. The problem is that the world knows the dangers of freeing the beast. There are so many sayings, analogies and stories that refer to the risk of setting the beast free. Letting the genie out of the bottle, Pandora’s Box and who hasn’t seen the Incredible Hulk? Today I imagined a direction which gave a new twist to the tale. I created a wonderful character and instantly fell madly in love with my creation. But then I took him to a place I cannot explain. I have to consider the possibility that I am truly strange inside. The part of me that smiled as I read it back, was also slightly shocked by the reality that I had only minutes before come up with such a thought. I felt proud but embarrassed by the shame of my pride. Make sense of that if you will, I certainly cannot. What I have to accept is that for now at least, the real me is still in charge of the day to day stuff. Maybe as I get older, the other fella will take charge. Hopefully, I won’t be too aware of him if he does and my poor children will have to deal with the consequences. Payback for all those nappy changes and cinema visits to watch mindless Pokémon movies and countless sleepless nights from which I haven’t recovered. I love them to bits but they have it coming….